Honeymoon is the most remarkable period in the life of newly married couples. The special moments and times experienced during honeymoon are remembered and cherished for life, because of the memories of a sanctified bond and moments of togetherness. In fact, it is the best way to start a married life. There are numerous destinations in the world that serve the honeymooners in the most promising way possible. During their stay at such destinations, a couple enjoys the privacy and the blissful good times together. And if the soul-mates get an Indian holiday destination as a backdrop, the joy of honeymoon multiplies thousand times. Honeymoon India can be a great experience for the newlyweds. With its exotic locations ranging with a difference, the country offers the most promising experience of honeymooning. Here, the couple can enjoy the honeymoon accentuated with royal lifestyle in Rajasthan. Or they can feel blessed while cherishing the stay on the secluded beaches of Goa. OR even strike a perfect harmony with nature in the God’s own country, Kerala. Here, you and your loved one can avail the Kettuvallam and take pleasures in the pristine boon of exotic backwaters. Also, you and your loved one can take a couple spa break in Kerala. 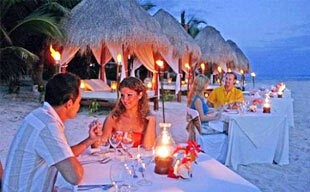 It will not only relieve both of you from the pre wedding stress and also rejuvenate for a perfect honeymoon holiday. If you are a couple with adventurous streak, then adventurous honeymoon options in India are the best for you. You can go scuba diving in Lakshadweep, Paragliding in Himachal Pradesh and even view the wildlife. But if you and your loved one follow the traditional way of honeymoon holiday in India, then hill station honeymoon tours are perfect for you. 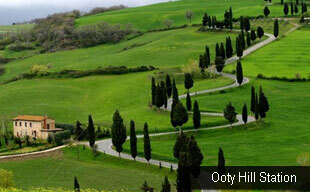 Blessed with numerous hill stations, the country offers a perfect honeymooning experience. There are many destinations in the country that make it a perfect choice for this once in a lifetime opportunity. India honeymoon tour packages offer a great opportunity to choose a special honeymoon holiday according to your preferences. Any suggestions and customizations are also welcome, so that we may make your holiday cherished for a lifetime.